The Only Way to Cheat on Xbox Live! Lag circles around your opponents with The Premium Lag Switch, the cheapest, smallest and most reliable lag switch ever devised. Now even better! We are the only lag switch manufacturer using superior Cat5e Ethernet Cables! 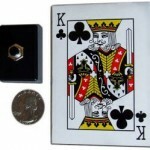 The Premium Lag Switch for the PS3, Xbox 360, and PC is the smallest ever made at under 1 cubic inch. It comes connected to a 14 ft Cat5e cable and an ultra responsive spring-loaded push button. This switch also features a durable hard plastic case to withstand anything you throw at it. It makes use of our proprietary Stealth Shield Technology™ to allow you to connect your switch directly to your Xbox 360. All other lag switches require you to connect extra routers to the network! We test each and every lag switch to ensure quality. It even comes with a 90 day warranty to protect your investment, that’s three times that of the next best. We strongly recommend this switch to any gamers who want to tack on a few dozen kills each game. With Premium Lag, lagging on Xbox Live and Playstation Network is easier than ever before! Anyone who considers themselves to be a serious gamer and doesn’t know what a lag switch is and how to use one should stick around for a second and read this, because it may give you the most powerful edge available in console gaming. A lag switch is a formidable weapon in online gaming, whether it’s MW3, Black Ops or Battlefield 3. 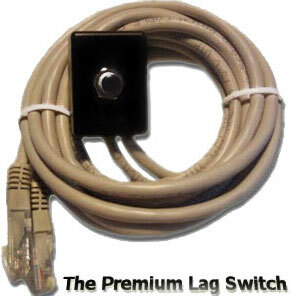 Lag switches are the only way to cheat on Xbox Live and many other internet gaming services. Using a lag switch is an art more than a science. As with all things the more you use it the better you’ll be with it. First it’s important to learn what a lag switch is and how it works so that you can best use it. A lag switch cuts off your uploads to your opponents on the internet. Once cut your opponent’s Xbox 360 or PS3 will stop receiving data about where you are and what you are doing. In essence they will be blind. When you release the switch the game will sync up and make all the actions you’ve made while lagging. When you’d like to begin lagging push down the switch for a second or two. It is best to start just before running into battle. You will be able to continue playing. At this point just do what you normally do. The other person will be less able to retaliate and defend themselves as they are not receiving data about what you are doing. Take advantage of this weakness and go for the kill. Alternatively if you get ambushed lag your way out of a sticky situation. It’s a versatile tool and when you know how to use it it can change the entire game. The best way to use a lag switch is to start with that approach and experiment from there until you find what works best for you. Over time you will become able to distinguish the patterns that work for you. You may also try tapping the switch for a different effect. Generally you can tap on and off for a longer period than you can hold the button down. Depending on the situation this may or may not be beneficial. If you’re looking for instructions on connecting your lag switch check out our six second Lag Switch Setup Guide. 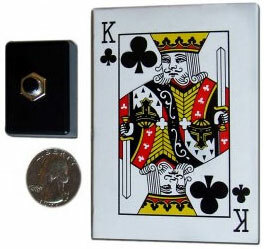 A lag switch is a push button device that helps you gain an edge in many online multiplayer games. It provides a great advantage in online shooters on Xbox Live and PSN like MW3 or BF3. How Does a Lag Switch Work? When the button is held you stop your outbound connection while maintaining your inbound connection. This makes other players see you as frozen, however you can still play and see your opponents actions. When you release the switch any actions you took while it was held (like killing another player) take effect in a burst. What Will My Opponenets See Me Doing? Becoming invulnerable for the period you hold the switch down. Moving erratically, jumping between places rather than moving smoothly. Moving in unpredictable ways making you nearly impossible to hit. What Games Do Lag Switches Work With? Our lag switches work with virtually any game for Xbox Live and PSN including Modern Warfare 3, Battlefield 3, Black Ops, Halo and many more.